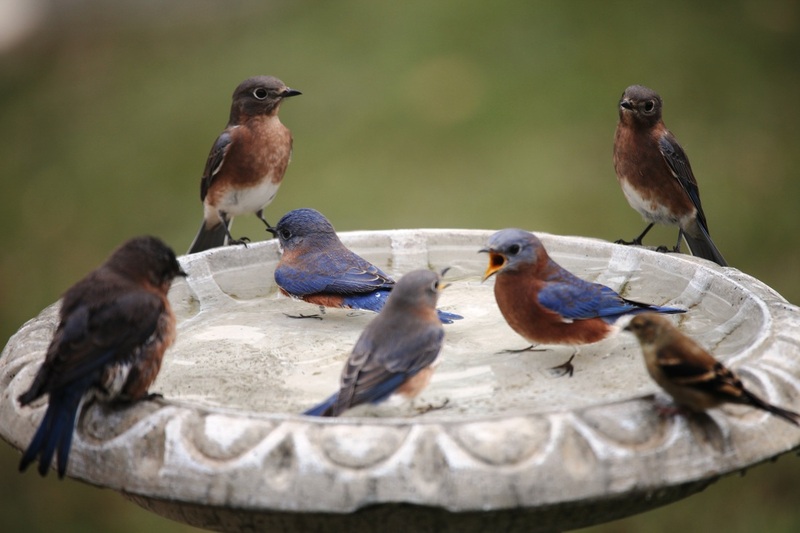 Photo sent in by Michelle Holt From Chester County, Pa.
What are the bluebirds saying to one another? The Winner of the Photo Caption Contest Is > Irene Gaydos from Montour County. Congratulation Irene and thank you for playing the photo caption contest. And thanks to all who submitted an entry. The winning caption will receive these folded blank note cards 4 1/4" x 5 1/2" with envelopes, set of 8. 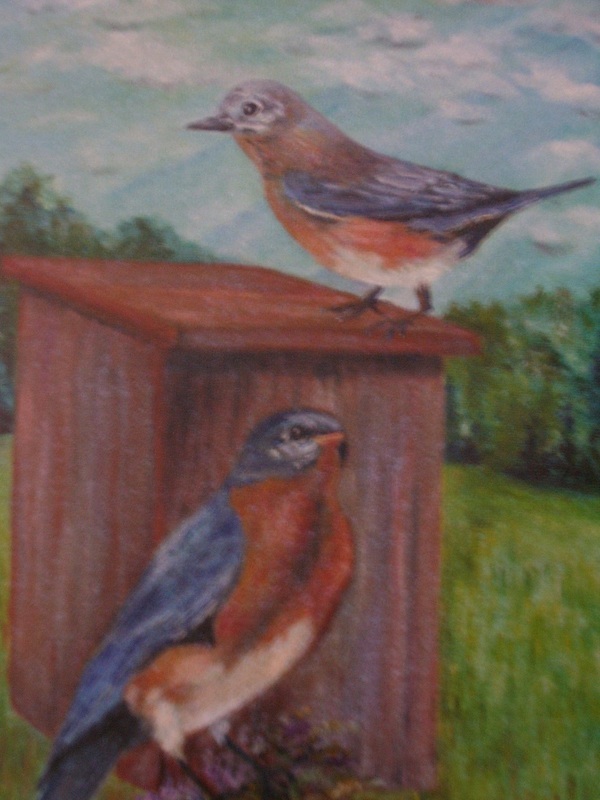 Hand-painted picture of a pair of Eastern Bluebirds at Nest Box. Send by email with attachments of your favorite bird photo (s) to; jmsbsp@comcast.net Subject Line - Photo Caption Contest. Your photo or photos will become public property when placed on the Bluebird Society of Pennsylvania Website and you agree to release all claims and rights of photos being used on this site. JPEG attachment are preferred. Name of Photographer - County and State are required for posting.